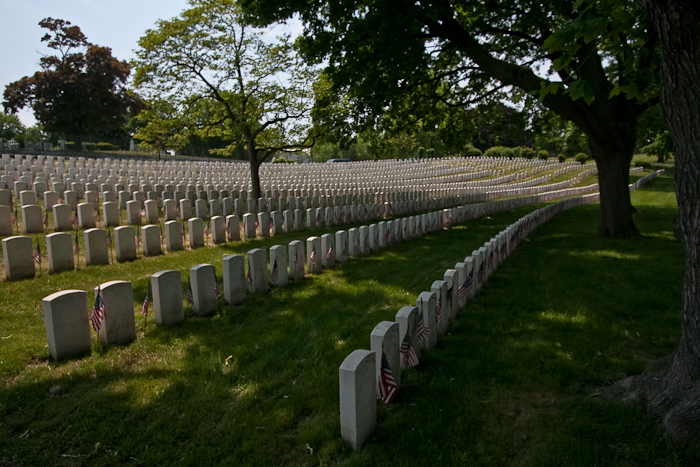 The only National Cemetery in New York City is in Brooklyn. Visit the beautiful and historic Cypress Hills National Cemetery, the final resting place for 21,000 veterans and dependents from the American Revolution to the Vietnam War. The cemetery was opened in 1862, and is older than Arlington National Cemetery. Take a walk to visit the graves of 24 Medal of Honor winners and soldiers from more than 200 years of American History. See the graves of such notables as Civil War Colonel Benjamin Ringgold, and two men who earned the Medal of Honor twice: Sgt Major Dan Daly (U.S. Marine Corps) and Coxswain John Cooper (U.S. Navy). Visit the graves of veterans of the War of 1812, more than 500 Confederates from the Civil War, the Harlem Hell Fighters of WWI, and the British and French sailors who perished in the influenza pandemic of 1918. * See rare photos, maps, and drawings from the guide’s personal collection. Tickets must be bought at least 24 hours in advance of the tour start time. What is the nearest subway? The J or Z Train to Norwood Avenue Station. Walk north on Norwood Avenue three blocks to the cemetery. Yes there is free parking at the cemetery. The tour does not start and end at the same place. Your tour guide will be more than happy to give directions for your next destination. Tours will run rain or shine. We ask that you check the weather forecast and dress accordingly if inclement weather is predicted. If a serious storm is predicted that may impact the tour, you will be notified by e-mail, under these circumstances. Yes. Restrooms are available on the tour. No dogs are allowed, except service dogs with proper papers.